Young patients at Sandwell Hospital were delighted, as they finally came face-to-face with their sporting heroes from West Bromwich Albion. It was a festive treat that had been arranged by Amanda Winwood – who is fundraising manager for Your Trust Charity, which is run by Sandwell and West Birmingham Hospitals NHS Trust. Each Christmas, the mum-of-one makes sure patients within the children’s department are given extra special treatment and not only arranges VIP visits but ensures the wards are decorated, and presents are handed out to each and every youngster. “It’s a really heartwarming job,” explained Amanda. “I love seeing the children’s faces when they meet their favourite Baggies’ star, or when they open a fantastic present. It really makes all the hard work in preparing the visits worthwhile. Some of them are going through a very difficult time, because they are so poorly. Amanda works closely with businesses in the area who help with the decorations and generously donate presents. 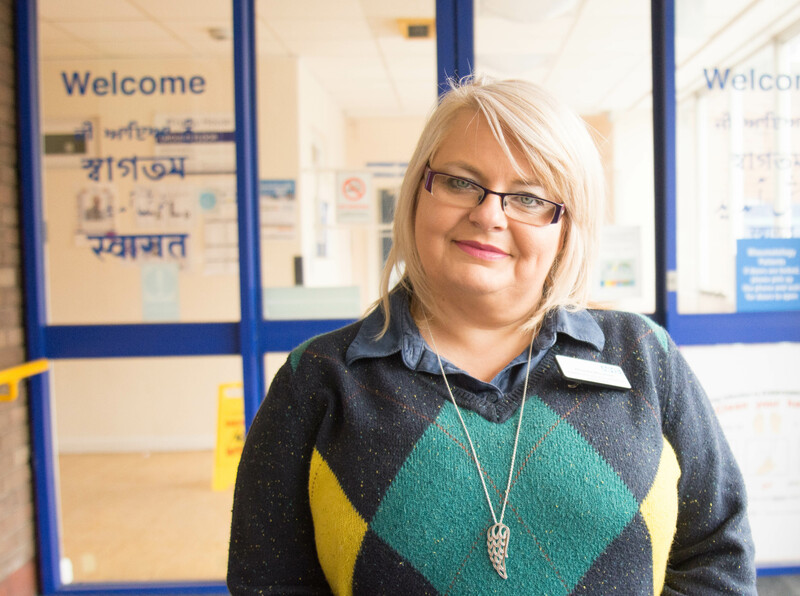 But it’s not just at Christmas time, when Amanda waves her magic wand to enhance patient experience within Sandwell, City and Rowley Regis Hospitals, which are all run by the Trust. She recalled: “The charity was able to donate £60,000 to the neonatal unit so that they could invest in Billipads, which treated jaundice babies without taking them away from their parents for long periods of time. “It was lovely to hear from parents who benefitted from this equipment. They were able to cuddle their little ones and continue caring for them in the usual way. “Every day is never the same, and I am always looking at ways to improve the patient journey, either by organising events or by supporting our very kind fundraisers,” she added. Indeed, Amanda has gathered her own army of fundraisers – including the determined Sally Gutteridge, a mum-of-two who has battled breast cancer, suffered a stroke and is now living with multiple brain tumours and liver cancer. “Working with people like Sally is really inspiring,” said Amanda. “She believes in doing all she can to help others, despite what she is going through herself. “I worked with Sally when she organised a 1940s tea dance, and raised more than £2,500 for Your Trust Charity. And she continues to fundraise, even though she is battling cancer. Amanda’s next challenge is to transform the walkway which leads into the neonatal unit, at City Hospital. “We will be working with the finance team and solicitors from HSBC to do this,” explained Amanda, who lives with her husband Mark and daughter Charlotte, in Wolverhampton.